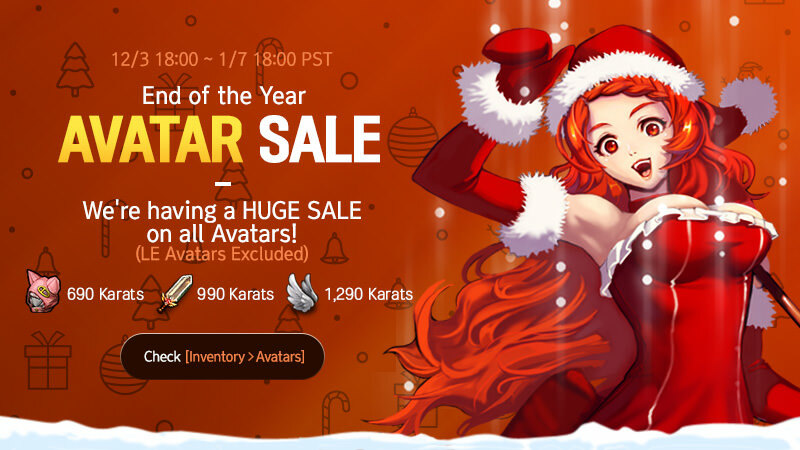 We have prepared special End of the Year Avatar Sale to celebrate holiday season! For this special avatar sale, every avatar beside limited edition avatar will go on sale! Come check out our newest Avatar Sales in [Inventory > Avatars]! - All avatars beside limited edition avatars. - All weapons beside limited edition weapons. - All wings beside limited edition wings. ※ Event dates may be subject to change. Don't miss this great sales event!! End of year, hope you add 2 Avatars for later player can buy it, thank you. I totally agree. My blood demon would look beautiful.